If you have not already, you might want to download the Kmart app for iOs or Android because each Friday Kmart gives out a freebie! 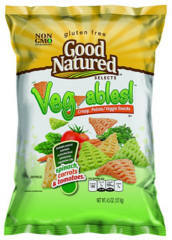 This Friday’s Freebie Fix is FREE Good Natured Veg-ables 4.5 – 7.5 oz! To get your free item, scroll down and click the “Friday Fix” section to get a coupon for free Good Natured Veg-ables! This eCoupon is available to load today only (2/23). However, the eCoupon itself expires on 2/25/17. Just have them scan your barcode at checkout to get it FREE. If you have not already, you might want to download the Kmart app for iOs or Android because each Friday Kmart gives out a freebie! 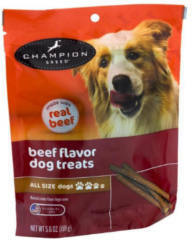 This Friday’s Freebie Fix is FREE Champion Breed Dog Treats! To get your free item, scroll down and click the “Friday Fix” section to get a coupon for FREE Champion Breed Dog Treats! This eCoupon is available to load today only (2/16). However, the eCoupon itself expires on 2/18/17. Just have them scan your barcode at checkout to get it FREE. If you have not already, you might want to download the Kmart app for iOs or Android because each Friday Kmart gives out a freebie! 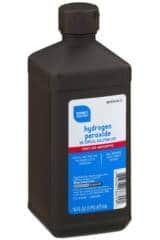 This Friday’s Freebie Fix is FREE Smart Sense Hydrogen Peroxide! 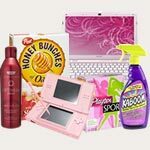 To get your free item, scroll down and click the “Friday Fix” section to get a coupon for a FREE Smart Sense Hydrogen Peroxide! This eCoupon is available to load today only (2/9). However, the eCoupon itself expires on 2/11/17. 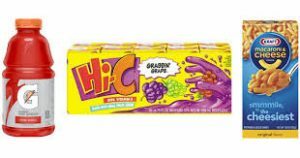 Just have them scan your barcode at checkout to get it FREE. If you have not already, you might want to download the Kmart app for iOs or Android because each Friday Kmart gives out a freebie! This Friday’s Freebie Fix is FREE Smart Sense Glass Cleaner! 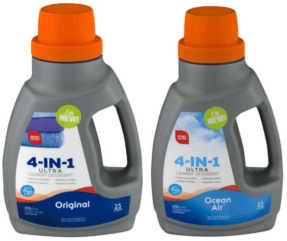 To get your free item, scroll down and click the “Friday Fix” section to get a coupon for a free Smart Sense Laundry Detergent! This eCoupon is available to load today only (2/2). However, the eCoupon itself expires on 2/4/17. Just have them scan your barcode at checkout to get it FREE. 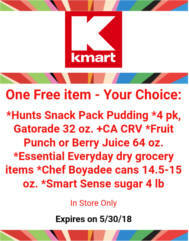 If you have not already, you might want to download the Kmart app for iOs or Android because each Friday Kmart gives out a freebie! This Friday’s Freebie Fix is FREE Smart Sense Laundry Detergent! 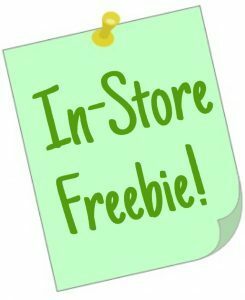 To get your free item, scroll down and click the “Friday Fix” section to get a coupon for a free Smart Sense Laundry Detergent! This eCoupon is available to load today only (1/26). However, the eCoupon itself expires on 1/28/17. Just have them scan your barcode at checkout to get it FREE. If you have not already, you might want to download the Kmart app for iOs or Android because each Friday Kmart gives out a freebie! 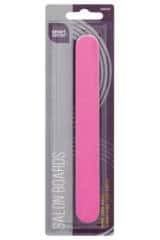 This Friday’s Freebie Fix is a FREE Smart Sense Salon Board Nail File! To get your free item, scroll down and click the “Friday Fix” section to get a coupon! This eCoupon is available to load today only (1/19). However, the eCoupon itself expires on 1/21/18. Just have them scan your barcode at checkout to get it FREE. If you have not already, you might want to download the Kmart app for iOs or Android because each Friday Kmart gives out a freebie! 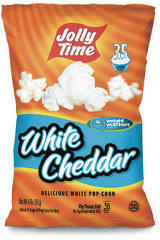 This Friday’s Freebie Fix is a FREE package of Jolly Time Popcorn (5.5 oz)! To get your free item, scroll down and click the “Friday Fix” section to get a coupon for a free dog treats! This eCoupon is available to load today only (1/12). However, the eCoupon itself expires on 1/15/18. Just have them scan your barcode at checkout to get it FREE. If you have not already, you might want to download the Kmart app for iOs or Android because each Friday Kmart gives out a freebie! This Friday’s Freebie Fix is a FREE 10-lb Cat & Co Conventional Litter! To get your free item, scroll down and click the “Friday Fix” section to get a coupon for a free dog treats! This eCoupon is available to load today only (1/5). However, the eCoupon itself expires on 1/7/18. Just have them scan your barcode at checkout to get it FREE.